As much as you may love to have your dog join you on your holidays or business trips, it’s not always possible. So why not give them a vacation at the same time? Dogtopia of Fredericksburg offers short- and long-term boarding packages, allowing your dog to stay safe and have fun while you’re away. No vacation is complete without a day at the spa. We offer doggy spa services as part of our boarding packages. 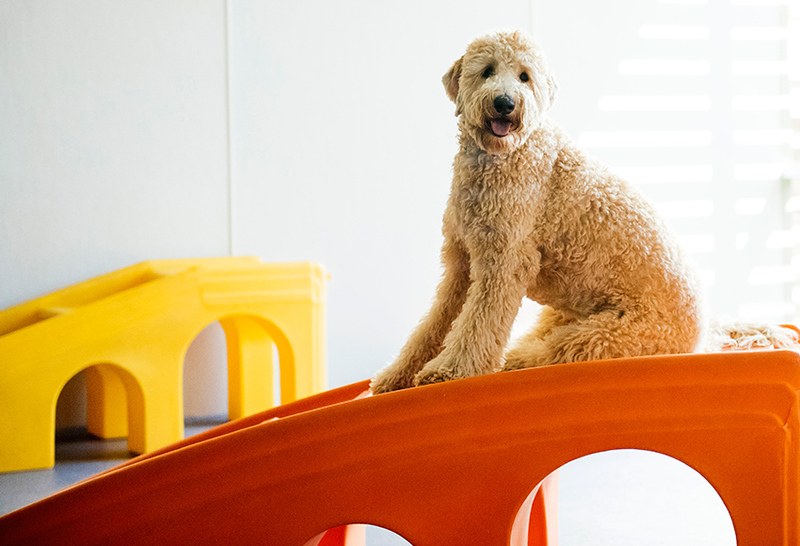 When your dog stays with us, they will enjoy up to 10 hours of play with the other boarding dogs and our daycare dogs. Our team are dog parents themselves and they will give your pup as much love and affection as they would get if they were at home. 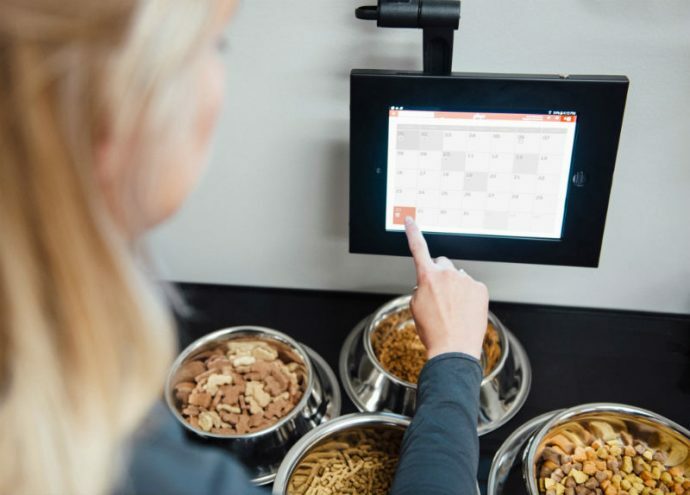 We do not charge extra for administering any medication your dog may be on or feeding them their favorite food from home. If you forget to pack your dog’s regular food, we can provide Fromm’s nutritious dog food for our daycare dogs. Your dog’s safety is our top priority. Our team is fully trained in all aspects of dog care. 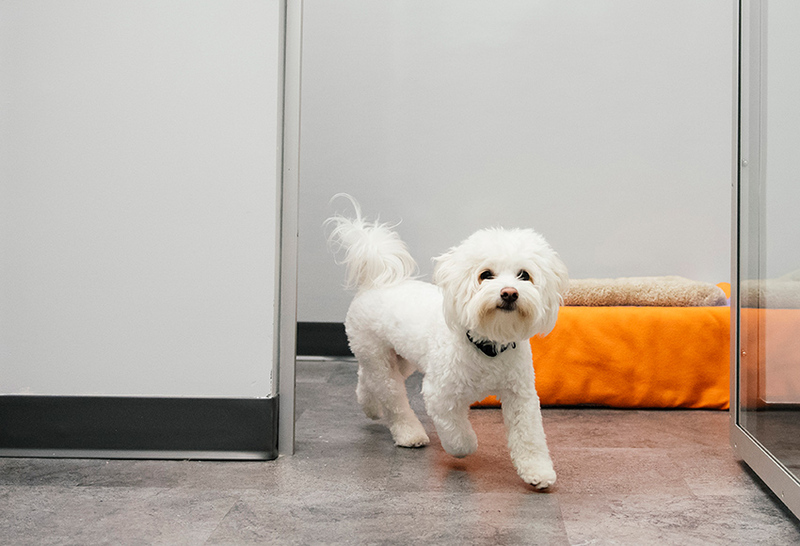 From reading dog body language to managing large groups in our playrooms, your pup will have a safe but fun time when you board them with us! 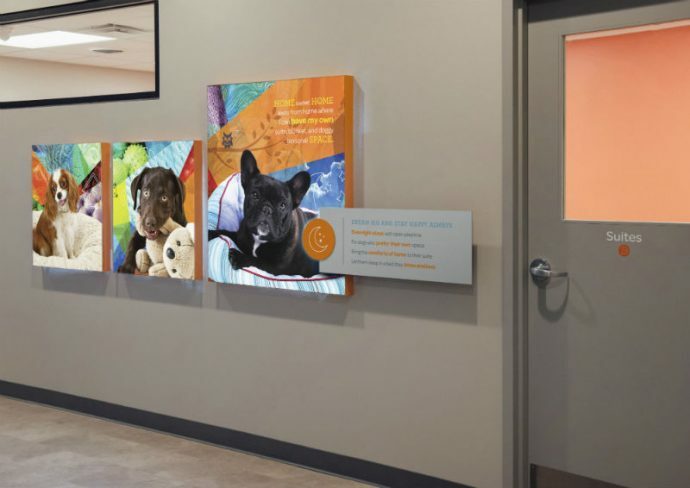 Dogs boarded at Dogtopia of Fredericksburg enjoy up to 10 hours of play, plus naptime in the afternoon. Most importantly, they’ll receive lots of TLC from our dog loving team. We do ask that dog parents bring your pup to our location before 3pm if they are going to spend the night. This will allow them to get comfortable with our facility and the other dogs, which will help them get a good night’s sleep. For our clients’ peace of mind, we offer webcams in each of our playrooms. 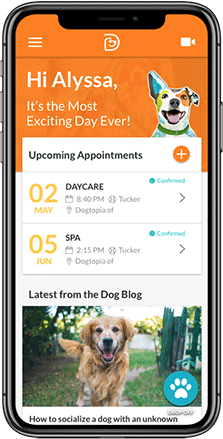 Check in on your dog between 7am and 7pm. Webcams are shut off during naptime between 12pm-2pm and when our four-legged guests turn in for the night. Before you board your dog with us, we ask that you please bring them to our location for a scheduled meet and greet with our staff. 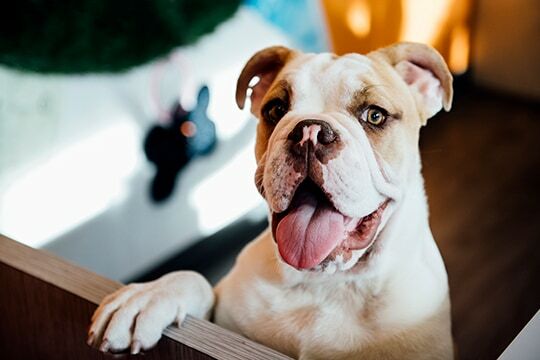 This will give us a chance to get to know your four-legged family member and determine if our open play environment is the right fit for them. We schedule our meet and greets every day of the week and on weekends. Contact us to book your appointment now. For the safety of the dogs staying with us, we require all doggy guests have up-to-date vaccinations (Rabies, Bordetella and Distemper) and are free of any fleas, ticks and any contagious diseases. Don’t forget to bring any medication your dog may be taking as well. 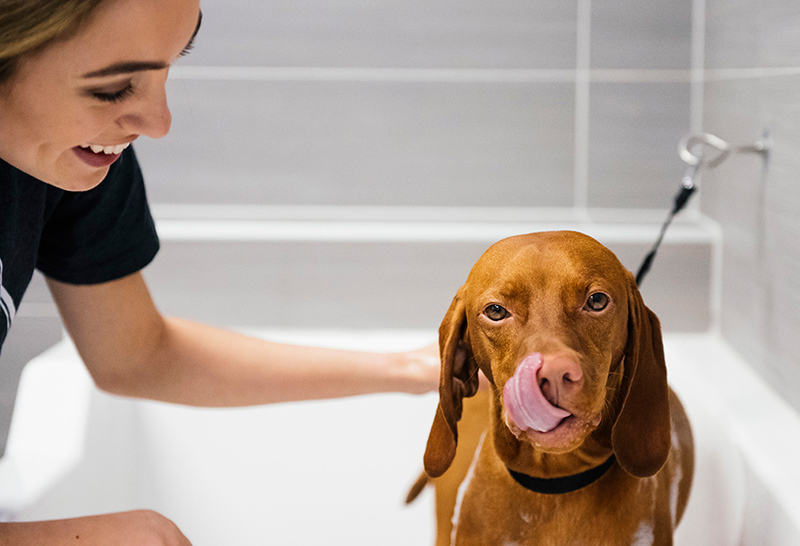 Pamper your pup with our doggy spa services, which can be part of our boarding packages. Our spa services include a bath, nail trimming, ear cleaning and teeth brushing. Your pup will be clean and happy when you pick them up. 5:30 am – 6:30 am: Breakfast time! We are conveniently located close to the intersection of Salem Church Rd and Plank Road (Route 3). Our facility is right next to Anytime Fitness in Chancellor Commons Center off Kennedy Lane. There is plenty of parking available at our location. Our team will work closely with you to find the boarding package that is the right fit for you, your budget and most importantly, your dog. We offer a 10% discount on stays that are 5+ nights as well as a 10% multi-dog discount. Boarding space is limited so please book in advance. 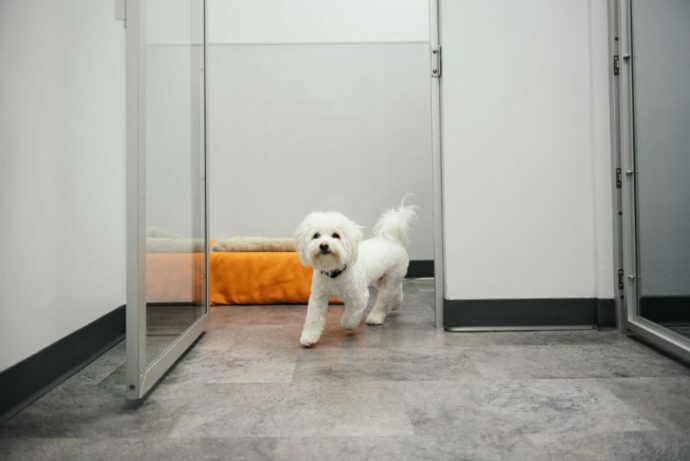 To learn more about our doggy boarding services, please visit our pricing page, fill out our enrollment form or contact us.